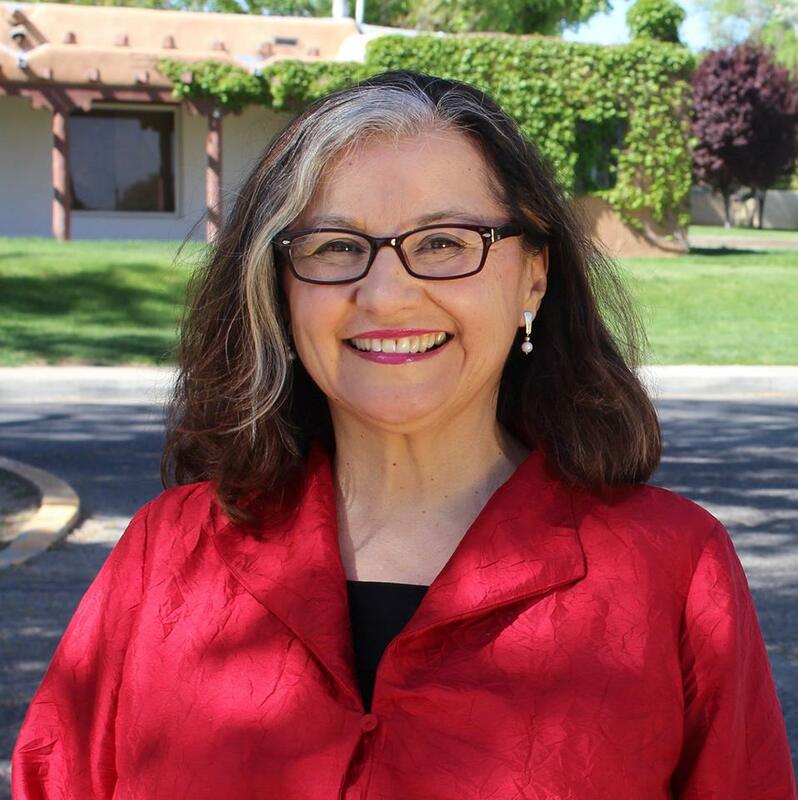 Newly Appointed Senator Antoinette Sedillo Lopez Sponsors Bill for Frontline Communities. New Mexico EMNRD Oil Conservation Department does not know the exact number of permits issued, the number of wells drilled or what they produce? There is no accounting of the water used in the state from the industry. 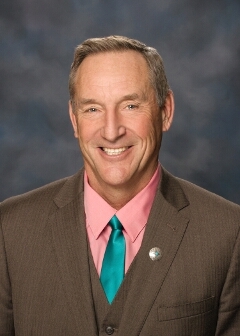 “Produced water alone is 6 or 7 times more than what the City of Albuquerque drinks in a year,” said Senator Bill Payne of Bernalillo County. 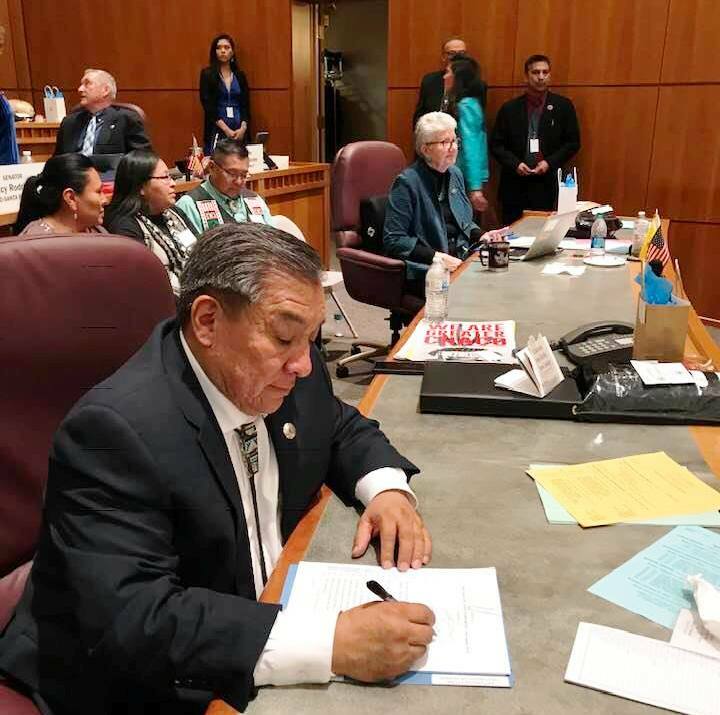 Senator Benny Shendo is the first to step up to co-sponsor bill because of fracking impacts on Tribal Nations and the people of New Mexico. Produced Water is only 1/3 of the water that comes back to the surface called “Flow back”. The other 2/3 of the water is a result of “Shake and Bake” fracturing process, where the process disappears water FOREVER from the Hydrological Cycle of the Earth’s atmosphere. In the Southwest during drought and extreme drought with extreme weather climate-related events, we citizens need an accounting of where our water is going it the time of water scarcity. This video is an excerpt on water consumption use and what the fracking industry is using without oversight. The State for Fracking in New Mexico It was glazing of the industry which almost all impacts from this process were left out. and the Republicans were allowed to run the time clock out so they did not have time to hear the people speak about this moratorium. Legislative leaders, in coordination with frontline citizen groups, have proposed a bill that addresses the current threats of multiple permit applications from hydraulic drilling in the Middle Rio Grande Basin — the drinking water for over 800,000 residents. Legislators’ are proposing a 4-year moratorium with a set timeline and administrative milestones on new fracking permits in the State. 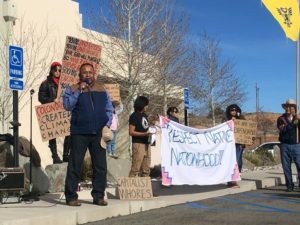 Hydraulic fracturing impacts destroy the groundwater, disappear 2/3 of the water used from the hydrological cycle, raise dangerous ozone levels causing multiple health and land use impacts, which are already occurring in the Greater Chaco Region in Sandoval County, NM. 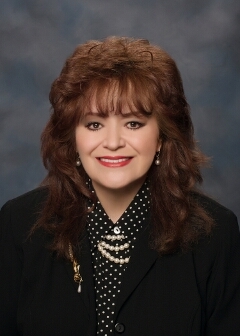 After asking for a New Mexico Energy, Minerals and Natural Resources department presentation to the Senate Conservation Committee about the state of fracking in New Mexico, newly appointed NM State Senator Antoinette Sedillo Lopez became concerned about the fact that the industry has moved forward so fast and is lagging behind the department’s ability to inspect wells and enforce regulations. She is asking for an important pause in the current agenda to facilitate necessary conversations, studies and plans to address the gaps in the state’s ability to address the impacts on our air, land, water and human life. The four-year moratorium will prohibit new permits and allow existing wells to continue producing revenues for the State. The bill asks the relevant agencies to report to the legislature and the governor the actual and potential impact of hydraulic fracturing. Current impacts of fossil fuel extraction serious gaps regarding quantity and quality impacts on aquifers, measured emissions, and other land use impacts on health in affected communities, inspection enforcement within our State that constitutes an emergency necessitating immediate legislative action to Protect the Public Health and Welfare for the State of New Mexico. Accelerating climate change must be addressed with Greenhouse Gas (GHG) emissions capture and drawdowns. There are over 67,000 gas and oil wells in private and NM state lands. This number does not include tribal or public lands. At present, there is not a complete record of the number of permits application approved and newly active wells. The bill requires agencies to report and recommend measures that address the issues to the legislature on impacts on public health, water, air, land, and the climate before issuing any new permits. — with Samuel Sage at Bureau of Land Management – New Mexico. ·The Albuquerque Basin, one of only four active rift zones in the world, is uniquely susceptible to groundwater contamination from fracking. We cannot allow the main drinking water source for our state to become polluted. https://youtu.be/uzE8zS0zViM Video Presentation from Geologist Don Phillips on the dangers of fracking in the Middle Rio Grande Basin.